Mladá Boleslav, 25 January 2019 – An impressive exhibit at the ŠKODA Museum commemorates a little-known chapter of a company steeped in tradition. On loan from the Czech National Museum, the spectacular aircraft engine L&K Lorraine-Dietrich 450 built in 1926 can now be seen at ŠKODA’s headquarters. The magnificent W12 engines were produced in Mladá Boleslav in the 1920s. By the first decade of the 20th century, Laurin & Klement/ŠKODA AUTO were following the boom in aviation very closely. The first enthusiastic airman in the region, who flew a plane he had constructed himself with a modified L&K automobile engine, was the Czech aviation pioneer Metoděj Vlach. However, his construction could only manage short jumps rather than a real flight. However, the Chief Designer of the emerging manufacturer, engineer Otto Hieronimus, was more successful. In 1909, he began developing the first purpose-built aviation engine in Austria-Hungary – and personally set a historic milestone: On 15 April 1910 at 17:00, Hieronimus became the first person in today’s Czech Republic to make a successful flight in a craft heavier than air. His Bleriot-type aircraft was powered by the L&K EL engine developed and manufactured in Mladá Boleslav. At the racecourse in Chuchle near Prague, the aviation engineer’s flight lasted 2 minutes and 26 seconds, covering a distance of around 200 meters. The L&K type EL engine had aluminium engine blocks and crankcases and four cast-iron cylinders lined with sheet metal. Only three of these engines were produced, as Laurin & Klement’s production capacity was already utilized by numerous domestic and foreign orders for the popular L&K brand’s passenger and commercial vehicles. In the second half of the 1920s, the global economic crisis and the difficult reconstruction work after the war led to a temporary drop in automobile sales. 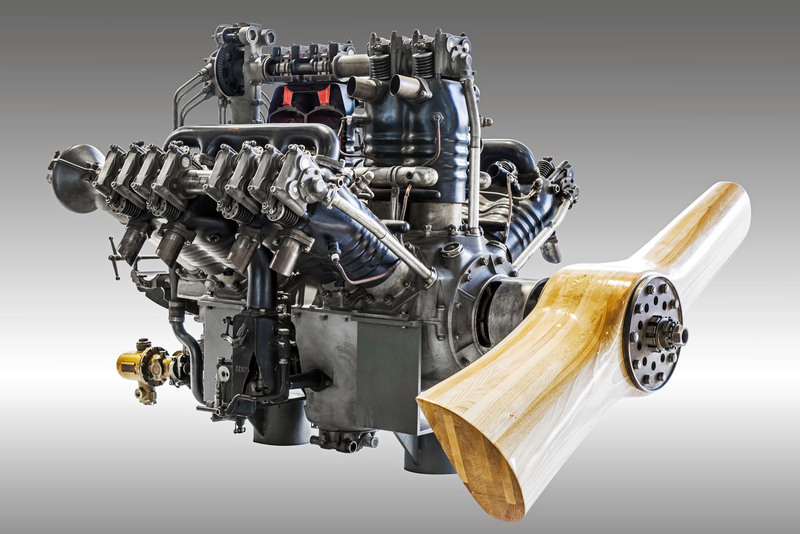 The management of Laurin & Klement decided to utilize their production facilities to build modern aircraft engines by the L&K Lorraine-Dietrich brand. L&K had acquired two licenses in 1924 from the French automobile and aircraft manufacturer Lorraine-Dietrich and began producing a 400-hp eight-cylinder and the top-of-the-range twelve-cylinder with 450 hp in Mladá Boleslav. Now, thanks to the kind loan from the National Technical Museum in Prague, the more powerful of the two engines is on display at the ŠKODA Museum. In addition to its impressive dimensions and displacement of 24.4 litres, what makes the exhibit from 1926 truly unique is its twelve-cylinder construction in a W-configuration, i.e. in three rows of four cylinders. With a maximum output of 450 hp (331 kW) at 1,850 revolutions per minute, the twelve-cylinder consumed 240 grams of fuel plus 12 grams of oil per horsepower per hour. 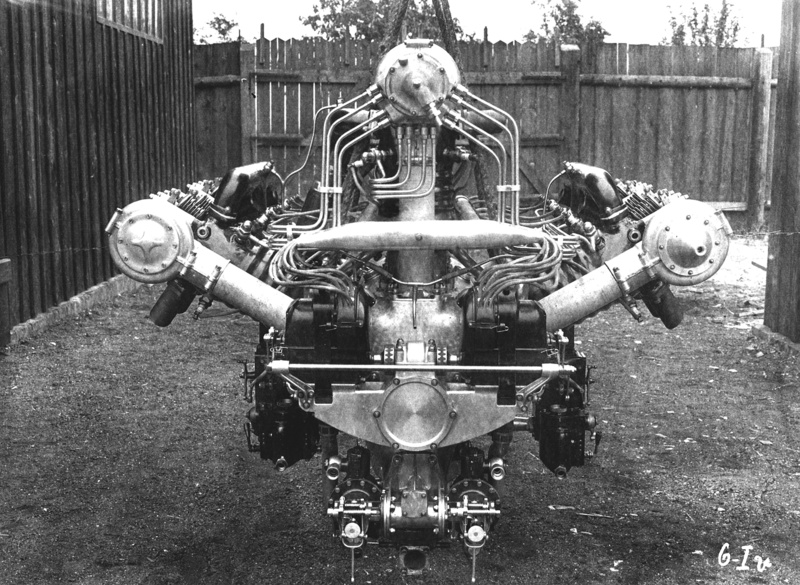 The qualities of the licensed engines won over the Czechoslovak Ministry of Defence, who, in late 1926, ordered 50 of these monumental twelve-cylinder engines. The high-quality aircraft engines from Mladá Boleslav were used in the Czech planes Letov Š-12 and ŠB-16. The engines were also in demand far beyond the former Czechoslovakia’s boarders, for example, they were exported to Lithuania and Turkey. The most impressive evidence of the engines’ efficiency is the long-distance flight by Lieutenant Colonel Jaroslav Skála, who flew from Prague to Tokyo in 1927 in a Letov Š-16. 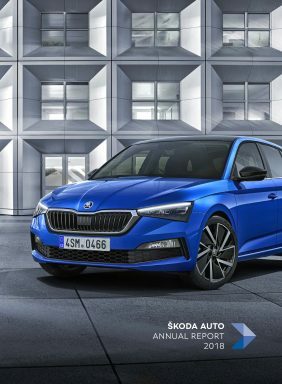 The ŠKODA Museum in Mladá Boleslav saw a record number of visitors in 2018 with 273,811 guests from home and abroad, surpassing last year’s figure by almost 8 percent. The modern exhibition sheds light on ŠKODA AUTO’s diverse corporate history. Visitors are also welcome to view the vehicle depot. Alongside the main exhibition, the ŠKODA Museum regularly organizes cultural events and thematic exhibitions. The opportunity to combine a visit to the museum with a factory tour of ŠKODA AUTO’s current production facilities is also popular among visitors. This requires booking in advance. In addition to the main plant in Mladá Boleslav, visitors who have pre-booked can also visit the sites in Kvasiny and Vrchlabí.